Lodges is a newer project located on the Snowcreek Golf Course and across from Snowcreek Athletic Club. These high end rustic units feel more like a single family home than a condo. Incredible views from the complex, especially looking up to the towering Sherwin mountain range. The open floor-plan and high-end furnishings will make you feel at home. The hardwood floors throughout the main floor keeps everything clean and looking great. Every bedroom/loft has on-suite bathroom and there is a half bath for guest on the main floor. Enjoy the meandering stream in the backyard with lush grass and foliage while sipping your morning coffee or having an evening BBQ. This home is made for mountain living. Priced to sell!!! Listing provided courtesy of Kathleen Richardson of Mammoth Village Properties. 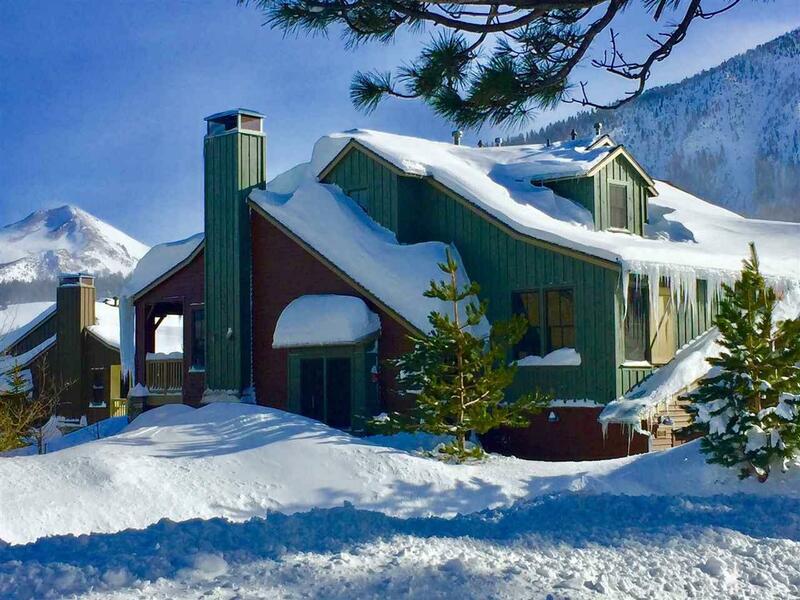 © 2019 Mammoth Lakes Board of Realtors. All rights reserved. IDX information is provided exclusively for consumers' personal, non-commercial use and may not be used for any purpose other than to identify prospective properties consumers may be interested in purchasing. Information is deemed reliable but is not guaranteed accurate by the MLS or Rebecca Garrett - Mammoth Realty Group. All data, including all measurements and calculations of area, is obtained from various sources and has not been, and will not be, verified by broker or MLS. All information should be independently reviewed and verified for accuracy. Properties may or may not be listed by the office/agent presenting the information. Data last updated: 2019-04-19T23:51:26.777. Rebecca Garrett - Mammoth Realty Group is Mammoth Lakes' most innovative real estate professional.